Hello, foodies! 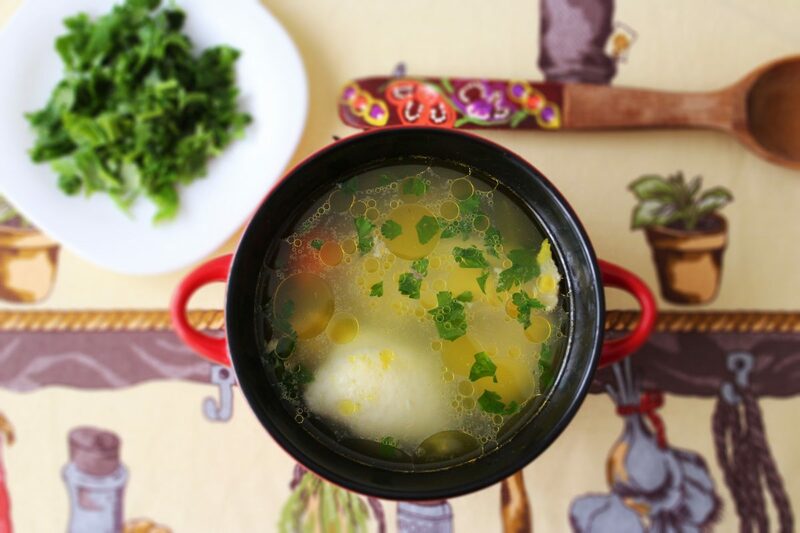 I decided to choose the chicken soup with semolina dumplings as the first recipe on the blog, mainly because soups are one of the essential meals that us, Romanians, like to eat for lunch, at least once or twice a week. It’s also one of my family’s favorite meals. We make it at least once a month, especially during the cold season. Since I was a kid, during winter, this chicken soup was a real treat for the soul. 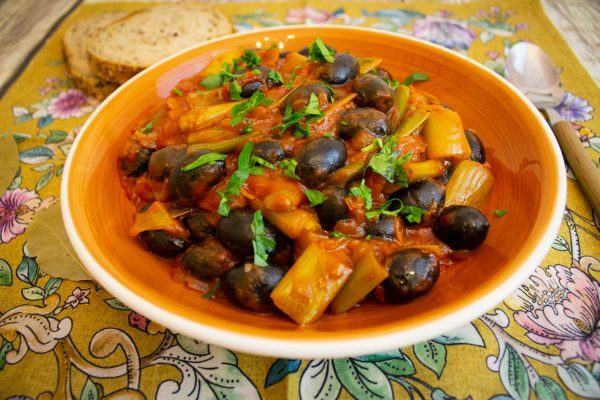 We love to serve it hot, with a generous amount of chopped parsley on top. 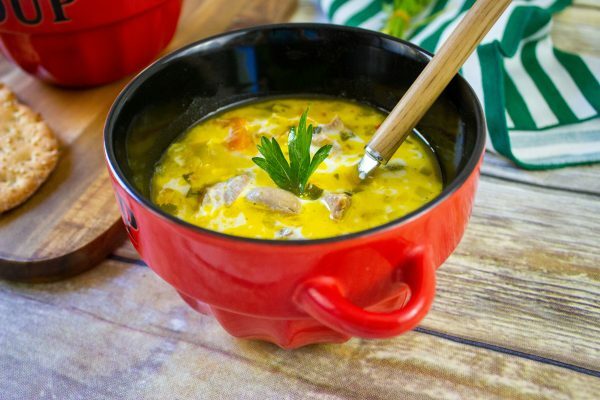 Here in Romania, soups are usually served as the first course for lunch. 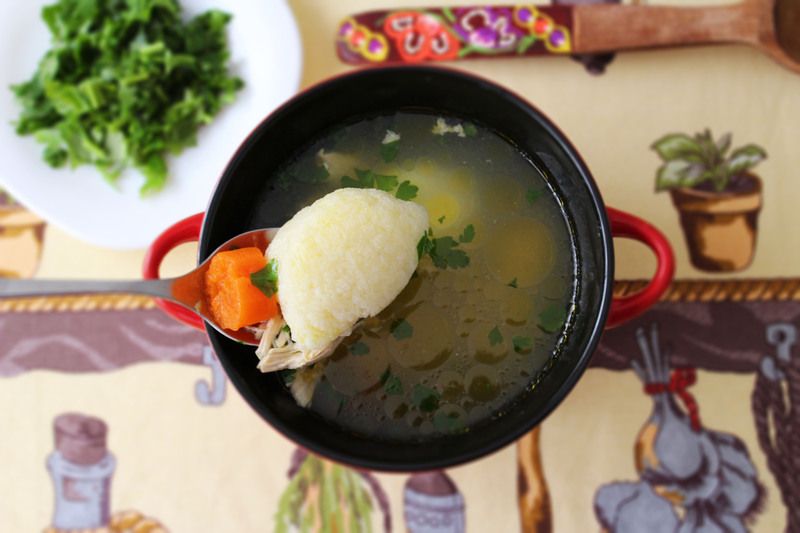 Even so, this chicken soup with semolina dumplings is super filling, so you probably won’t even need to have a second course after enjoying a bowl of this delicious meal. On top of that, just think about how healthy this soup is. Carrots, parsnip, celery and especially parsley, are all sources of vitamins, including vitamin C, which is great to keep you healthy during winter. The secret to making a great chicken soup is using chicken pieces with bones. If you decide to go for boneless chicken breast and legs, the soup will taste a bit bland. The chicken pieces must boil properly, so you’ll have to let them simmer for an hour or so before adding the veggies. You don’t have to buy a whole chicken and cut it up, you can just as easily buy the chicken pieces separately, and use the excess for something else, such as a chicken pilaf (a delicious rice meal with chicken and veggies, just as healthy as the soup). 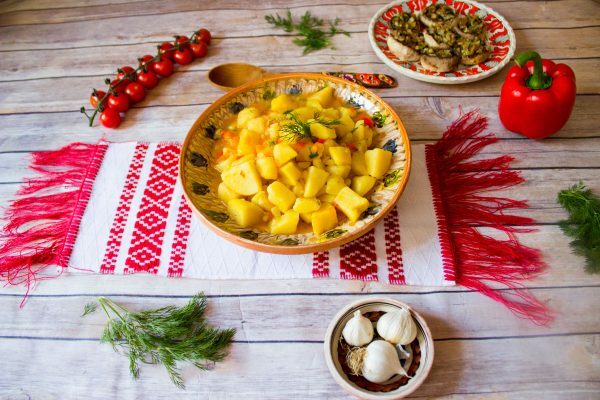 As for the semolina dumplings, some of the Romanian recipes say that we should put the dumplings directly in the soup pot. I like to boil them separately, so that they can expand properly, without being crowded by the veggies and chicken. Make sure you let them simmer on low heat, so they can get fluffy. In a large pot, put the chicken parts and pour in the water, filling it almost to the top. Bring to boil on medium heat. Using a skimming spoon, skim the chicken foam that rises to the surface. Let the chicken parts simmer for 1 hour, until no more foam appears. Add the carrots, celery root, onion, parsnip root, and let simmer for another 40 minutes to 1 hour, until the vegetables are cooked. 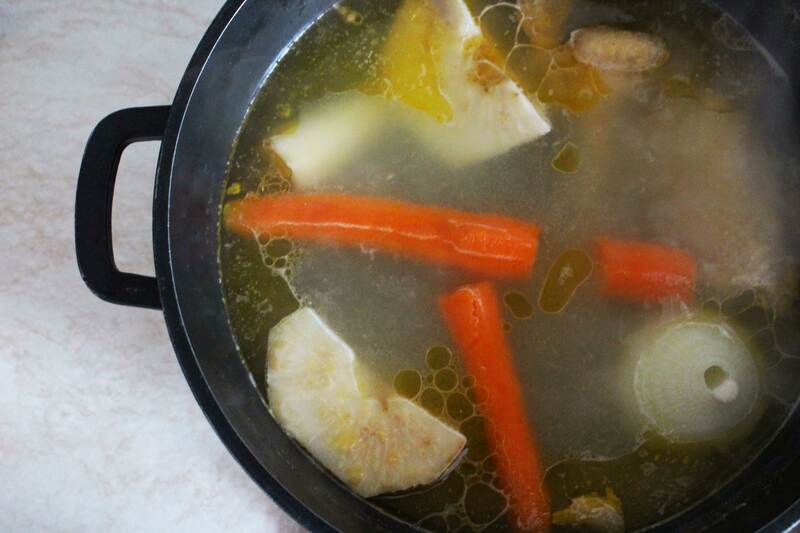 Remove the vegetables and chicken parts from the soup. Collect the meat from the chicken parts and add it back to the pot. I like to keep the carrot, cut it into pieces and add it back to the soup. In a medium pot, add 2L (9 cups) of water, and bring to a boil. 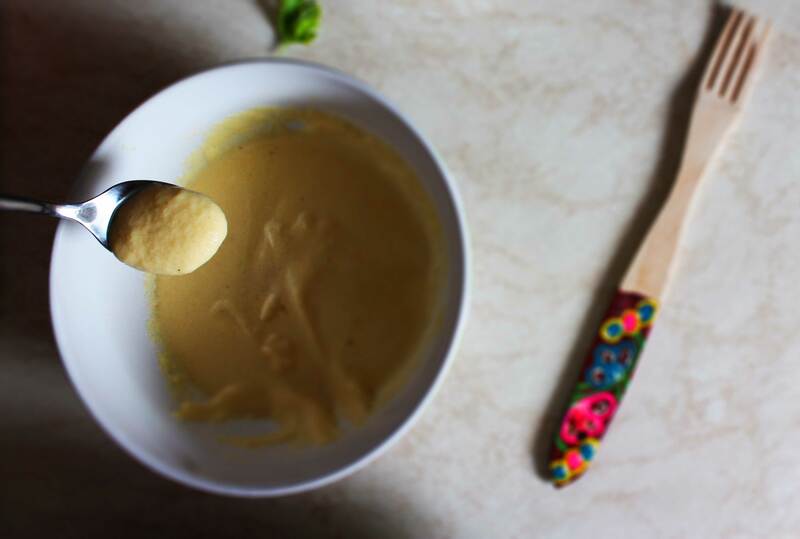 Beat the eggs and add the semolina, spoon by spoon, until you get a mixture which is neither thick, nor runny. Using a teaspoon dipped in cold water, take some batter and place it in the simmering water, dropping it in the pot. Make sure that the heat is on low, or else the dumplings might fall apart. Form the other dumplings using the same method. Let the dumplings simmer for 10 minutes, then turn them on the other side with a spoon. Let simmer for another 10 minutes, then transfer all the dumplings to the pot of soup. Season the chicken soup with the semolina dumplings with salt, and let it simmer for another 5 minutes. Turn off the heat and add the chopped parsley leaves. 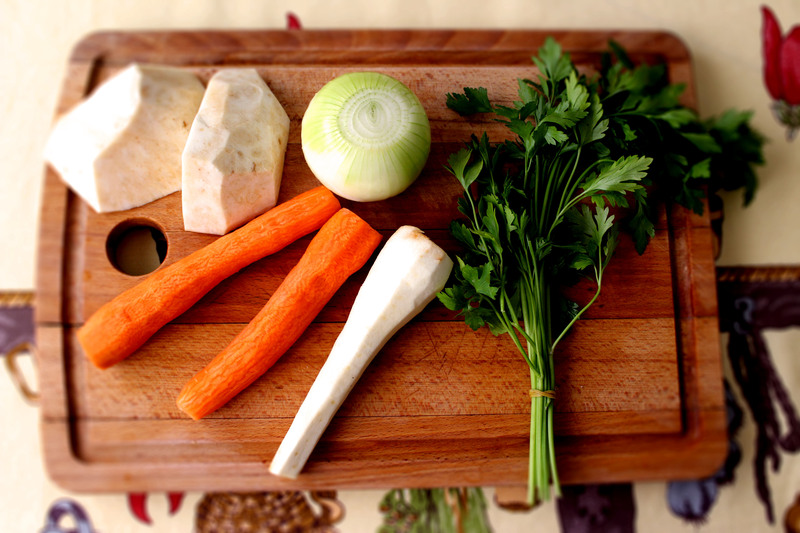 You can also choose to add the parsley separately, each time you serve the soup.